What does this mean? 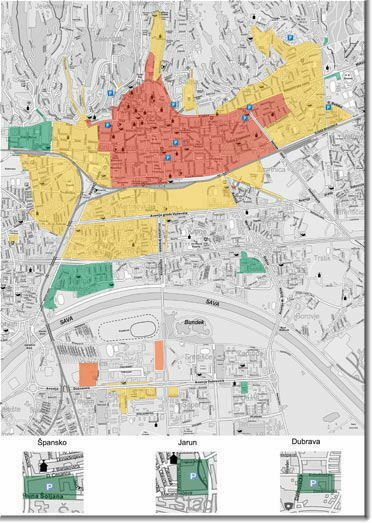 Parking rates in Zagreb are divided into three zones. Parking in the red zone costs 6Kn an hour, in the yellow zone 3 Kn and in the green zone 1.5 Kn an hour. More on parking in Zagreb.